The leading independent specialist for windscreen replacement and windscreen repair based in Leeds and serving all of the Leeds area. National Windscreens Leeds fitting centre provides windscreen replacement and windscreen repair services to businesses and individuals throughout Leeds and the Leeds area. 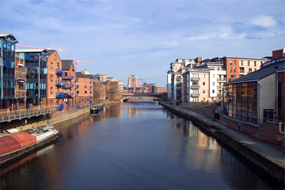 Leeds is located in the north of England and is the cultural, financial and commercial heart of West Yorkshire. There is extensive retail shopping in Leeds and it has been identified as the central shopping point of the whole of Yorkshire and the Humber region. The city is also well known for its annual music festival ‘Leeds Festival’. This attracts international musicians as well as large crowds during August every year. The M1 and M62 provide links to the south, whilst the A1 allows access to the north of the city. The Leeds windscreen fitting centre and its mobile vehicle glass technicians service the needs of Leeds and the surrounding area including Wakefield, Dewsbury, Harrogate and Castleford. With 108 fitting centres and over 800 mobile technicians, National Windscreens operates the UK's largest windscreen repair and windscreen replacement network. The company provides low cost, high quality windscreen replacement and windscreen repair from its Leeds fitting centre 24 hours a day, 7 days a week, 365 days a year. Repair and replacement of all types of vehicle glass including windscreens, rear windows and side windows is undertaken throughout Leeds and all of the Leeds area.